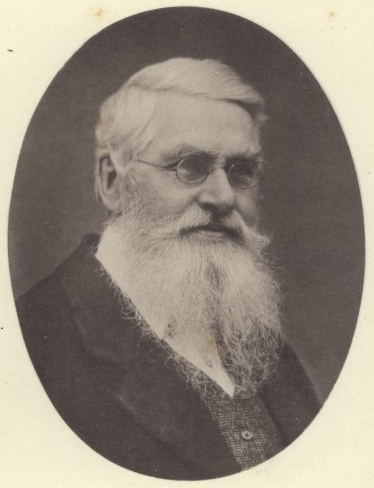 The year 2013 is the centenary of the death of the Victorian naturalist Alfred Russel Wallace, best-known as the man who formulated the theory of evolution by natural selection independently of Charles Darwin. To mark this anniversary there has been many conferences, exhibitions and publications. There has also been a considerable amount of media coverage including the BBC2 series Bill Bailey’s Jungle Hero, an episode of BBC Radio 4’s In Our Time, two episodes of The Infinite Monkey Cage, and many other reports. It’s reminiscent of the commemorations for his famous contemporary Charles Darwin in 2009. But the Wallace year is on a vastly smaller scale. And it is this gulf between the fame of Darwin and Wallace that inspires many of Wallace’s remarkably passionate admirers. There is some connection between the belief that Wallace’s relative obscurity is an injustice that fuels the passion and often anger of his supporters. And, of course, stories of a forgotten genius appeal to the media. This is why no article or media report on Wallace just tells us who he was and what he did. No, instead a large percentage of each report on Wallace complains of how much more famous Darwin is — with the implication that Wallace really ought to be equally famous. Over the past few decades, the story of Wallace has gradually departed further and further away from the way it was told by Wallace and his contemporaries. He has become a victim figure. This ill-treated working-class hero was cheated of his priority and fame by the privileged establishment figures surrounding the patrician Darwin. In the most extreme versions it is even claimed that historical evidence supporting these conspiracy theories was destroyed or that Darwin stole ideas from or even plagiarized Wallace. Thus gradually, and unwittingly, a new Wallace has appeared who is very, very different from the historical Wallace. We have instead a mythical Wallace who was the greatest field biologist of the 19th century, the true father of the theory of evolution, and by the end of his life, supposedly the most famous scientist in the world. And it has all been taken from him. The vast gap between the popular view of Wallace and the Wallace revealed by the historical evidence allowed me to radically re-write the story in another book Dispelling the Darkness: Voyage in the Malay Archipelago and the Discovery of Evolution by Wallace and Darwin. I knew that the surprising revelations in the book would not always please Wallace fans, but I have been surprised at the reactions — and accusations — in some online comments and blogs. One blog comment accused my book of having “a strong anti-Wallace agenda”. It is ironic coming from Wallace fans whose stated mission is to promote their hero. That, after all, is an agenda. It is not a search for historical accuracy or understanding. As a historian of science, my “agenda” has long been to correct historiographical myths and legends – where accounts of Victorian science have strayed far from what really happened. I also try to add new information to an otherwise old and sometimes rather hackneyed story as Wallace’s has become. The real Wallace can only be revealed by rigorous historical research. Unfortunately Wallace’s admirers are not historians. But this doesn’t stop them from thinking they know better. This is quoted by Wallace fans as if it were a smoking gun. “You see!” they exclaim, “he complained about his essay being printed without his consent!” They interpret the phrase “printed without my knowledge” as if it were written in the present. Of course in modern English it means ‘printed without my consent’. But in the 19th century the phrase actually meant that a piece of writing was considered so worthy that it was printed even without the author having to put it forward himself. It was an expression of modesty, not of resentment. Wallace also wanted to point out that the essay may not have been quite as polished as his other writings. Meyer was writing an account of Wallace’s life for German speaking readers. As to the remark above Meyer added “This I did in my pamphlet of 1870”. No one has ever bothered to check what Meyer then said in his book, probably because it is in German. Meyer wrote: “Mr Wallace wishes to take this opportunity to record that this essay was printed without his knowledge and that therefore (in the English original) some mistakes remained uncorrected.” Even more ironically, the 1895 piece in Nature where Meyer cited this Wallace letter was also sent for publication without Wallace’s knowledge! Those who have already made up their minds about what happened in the past, and applaud anything that compliments Wallace and dismiss as anti-Wallace heresy anything that does not promote a heroic picture are beyond the reach of argument and evidence. But the majority of readers can still enjoy the excitement of discovery and the surprises of new research. The real, historical Wallace, warts and all, is still out there. And it is only through contemporary sources and historically informed and contextually sensitive investigation that we can find him. John van Wyhe is a historian of science who specializes on Darwin and Wallace and Senior Lecturer at the National University of Singapore, and the Director of Darwin Online and Wallace Online. 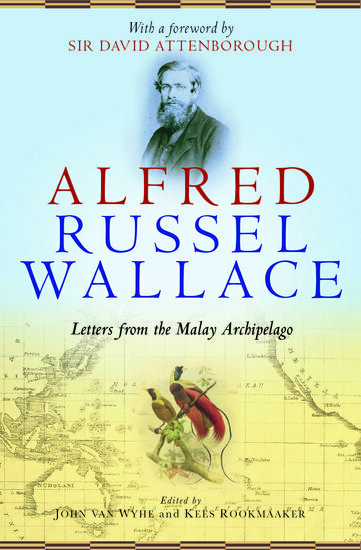 He has, with Kees Rookmaaker, edited Alfred Russel Wallace: Letters from the Malay Archipelago, with contains a foreword by Sir David Attenborough. Subscribe to science and medicine articles on the OUPblog via email or RSS. Image credit: Alfred Russel Wallace, 1889. Photograph courtesy of the Wallace Online collection. 2. Intelligent Design version: Wallace was a forefather of the intelligent design movement!